Simon Whitlock claimed his first PDC major title, defeating Wez Newton 11-5 to be crowned as European Champion in Germany. ‘The Wizard’, who had been a losing finalist in three different tournaments previously, ended his wait for a televised triumph, as he clinched the £50,000 first prize at the Sporthalle in Mulheim. The Australian, who defeated Mark Walsh and Dave Chisnall to reach the quarter-finals, had to win three games on Sunday, beating Colin Lloyd, Kim Huybrechts and Newton to win the PartyPoker.net European Championship. “I’m over the moon,” said an emotional Whitlock, who had clinched his first ProTour victory for almost two years just seven days earlier. “I’ve been so close for a couple of years so I’m absolutely ecstatic to win. Both players hit 180s in the opening leg, which Whitlock won, posting double eight to hold his throw. Newton levelled before ‘The Wizard’ hit double seven to edge back in front, but Newton held again to restore parity. A second maximum helped Whitlock take a 3-2 lead into the first break. The Premier League runner-up hit double ten to take the next leg against the throw, before holding on double six to move three legs in front. Newton pulled a leg back, before Whitlock’s third 180 helped him go 6-3 up. ‘The Warrior’ responded with an eleven dart leg to reduce the deficit to two at the second break. ‘The Wizard’ almost brought the house down, just missing the bull for a 170 before tidying up the remaining 25 to restore his three leg cushion. He did produce a magical finish in the very next leg though, hitting a show-stopping 167 checkout for another break of throw. The Australian ace then moved five legs clear, taking out 58 to make it 9-4, before Newton hit double top to pull one back. Whitlock moved a leg away from the title, going bull, 12 double 16 to clean up 94 and moved into a 10-5 lead. ‘The Wizard’ wasted no time in sealing victory, hitting double eight for another break of throw, to take is maiden major success. The draw for the PartyPoker.com World Grand Prix was made on Sunday evening after Simon Whitlock won the PartyPoker.net European Championship. The 32 man field includes nine MODUS associated players, including ‘The Wizard’, who has been handed a first round tie against Justin Pipe. James Wade, who is bidding to win the £100,000 title for the third time, has been drawn against Colin Osborne, while UK Open champion Robert Thornton will take on Mark Walsh. Raymond van Barneveld, twice a runner-up in the Dublin tournament, will face Ian White, Mark Webster takes on Andy Hamilton and Michael van Gerwen will play 2004 winner Colin Lloyd. Paul Nicholson has been drawn against Michael Mansell, Vincent van der Voort will take on William O’Connor and Mervyn King has been pitted against Terry Jenkins. The PartyPoker.com World Grand Prix will be held from October 8-14 at the Citywest Hotel in Dublin. Simon Whitlock won through to the final of the PartyPoker.net European Darts Championship with a 11-9 triumph over Kim Huybrechts in Germany. ‘The Wizard’ held his nerve to take victory in a terrific battle and will now face Wez Newton for the £50,000 title. “That was an absolutley brilliant match,” said Whitlock, who moved a giant step closer to clinching his first PDC major. ‘The Wizard’ hit a maximum in the opening leg, which he won against the throw before holding, hitting double top on both occasions. He slotted in his second 180 on the way to another break, winning the third leg with a 92 checkout. Huybrechts stopped the rot with back to back checkouts of 104 & 102, to pull the score back to 3-2 at the first break. The Belgian hit double ten to break Whitlock’s throw and draw level, before taking out 86 to take the lead for the first time. ‘The Wizard’ ended a run of four consecutive legs for his opponent by taking out 58, but ‘The Hurricane’ took out 122 on the bull to restore his lead. The players exchanged 180s in the tenth leg, which Whitlock won on double ten to make it five legs apiece. Huybrechts held to regain the lead but ‘The Wizard’ responded with a 180 before hitting double eight to level. Both players held their throw in the next three legs, meaning Whitlock went into the second break trailing his opponent by eight legs to seven. The Australian star came back out fighting, opening the 16th leg with a 180, before hitting double ten to go level once more. Whitlock also kicked off the next leg with a 180, and he grabbed a vital break of throw on double four. The world number seven hit another 180 before hitting double four again to move just a leg away from the final. Huybrechts kept himself in the match with a brilliant bull, bull, double 16 combination to finish 132. But it was a Whitlock’s shot at the bull that won the match, as ‘The Wizard’ held his nerve to take out 95. Simon Whitlock remains on course to win his first PDC major title, after defeating Colin Lloyd 10-7 in the quarter-finals of the European Darts Championship in Germany. ‘The Wizard’ hit five maximums in a high quality tussle with the former world number one, and will now face Kim Huybrechts this evening. “It was a very tough game,” admitted Whitlock, who is bidding to reach his third televised final of 2012. Whitlock won the opening leg with a neat 64 checkout and he quickly doubled his lead, following up a 171 with another tidy finish, this time 94. The Australian ace continued his sharp finishing as he checked out 121 for a third leg on the spin. Lloyd got off the mark by hitting double top, before a 105 checkout reduced Whitlock’s lead to a solitary leg. ‘Jaws’ levelled up with a brilliant 164 checkout, which ‘The Wizard’ responded to by hitting his first 180, before cleaning up 52 to edge back in front. Lloyd took the eighth leg before Whitlock made the perfect start to the ninth, hitting a second maximum on the way to taking a 5-4 lead. The pair went into the second break all square though, after Lloyd posted double four to hold his throw once more. ‘The Wizard’ retook the lead by hitting a 114 checkout with his opponent waiting on 25 to break. The Australian then just missed double top for a 148 finish, before eventually finding the double ten bed to grab a break of his own. And he increased his advantage to 8-5 by hitting tops, before Lloyd held despite a third 180 from ‘The Wizard’. ‘Jaws’ hit double top to reduce Whitlock’s lead to 8-7 but another maximum helped the Premier League finalist break straight back, to move within a leg of victory. ‘The Wizard’ kicked off the 17th leg with his fifth 180, before posting double top again, to book his place in the last four. Simon Whitlock produced a strong performance to defeat Dave Chisnall for the first time, while Raymond van Barneveld also reached the quarter-finals of the PartyPoker.net European Championship after triumphing in a terrific match against Michael van Gerwen in Germany. Whitlock overcame the challenge of Chisnall, taking a 10-5 victory thanks to some clinical finishing. ‘The Wizard’ hit ten out of 13 double attempts to set up a last eight clash against Colin Lloyd. “I played really well again,” said Whitlock. “I have struggled against Dave in the past so I’m thrilled to get that monkey off of my back. van Barneveld came out on top in a sensational battle with fellow Dutchman van Gerwen, taking a 10-9 victory in the match of the tournament so far. Both players averaged over 100 and produced some fabulous two and three dart finishes, before ‘Barney’ prevailed in the deciding leg. 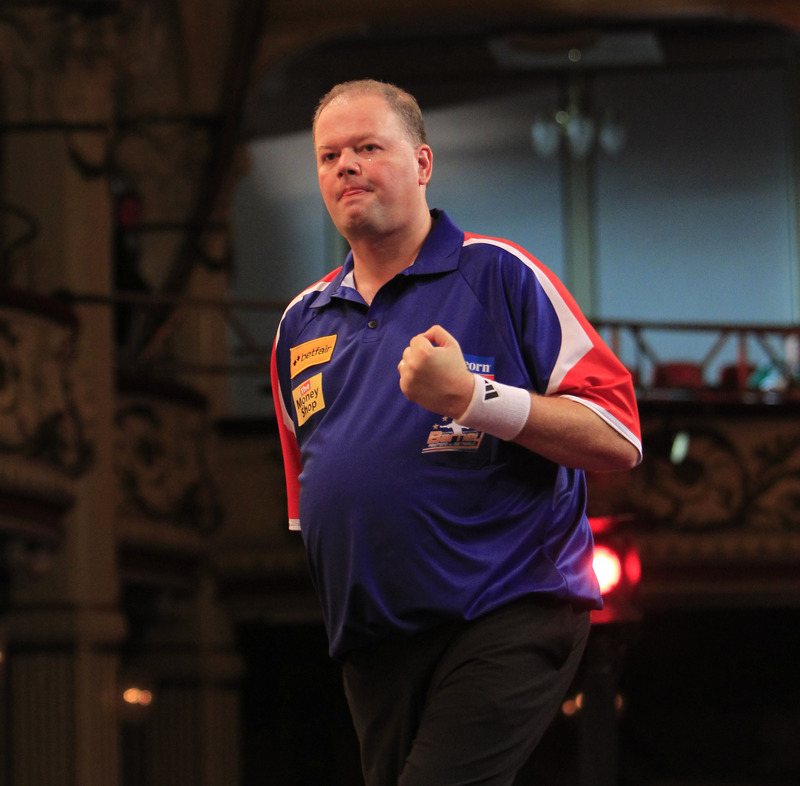 “It was a fantastic match,” said van Barneveld, who faces Kim Huybrechts in Sunday’s quarter-finals. “Michael played awesome but there can only be one winner and I’m happy that it was me. The PartyPoker.net European Championship concludes on Sunday with the quarter-finals taking place in the afternoon, before the semi-finals and final are played in the evening. Raymond van Barneveld was the star performer in the first round of the PartyPoker.net European Championship, with Simon Whitlock and Michael van Gerwen also progressing in Germany. ‘Barney’ demolished Terry Jenkins 6-1 with a sensational performance, in which the five-time World Champion recorded his highest ever televised average of 113.04 and a double success rate of 100%. “Terry often beats me in knockout tournaments so my preparation had to be perfect,” said van Barneveld, who faces van Gerwen in the last 16 on Saturday night. “I took my form from the practice board straight onto the stage and showed what I can do. Three 180s and a hundred average helped van Gerwen progress with a classy triumph over Andy Smith. ‘Mighty Mike’ took out shots of 84 and 111 as he raced into a three leg lead against ‘The Pieman’, before Smith battled back to force a decider. Both players wired doubles in a dramatic final leg, before van Gerwen finished the job on double four. 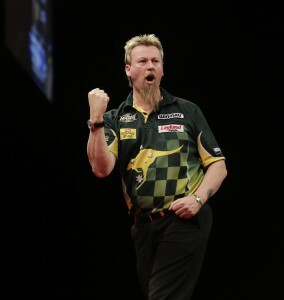 Simon Whitlock also booked his place in the second round after defeating Mark Walsh 6-2. ‘The Wizard’ hit checkouts of 110 and 84 in a dominant display to set up a last 16 clash with Dave Chisnall. Kim Huybrechts will appear as part of a star-studded line-up at the Carlsberg Masters, which is being held in Birmingham in December. ‘The Hurricaine’, who has stormed onto the PDC scene over the last couple of years, has been added to the world class field for the event, which takes place at the Birmingham Ballroom on Friday 7 December. The inaugural Carlsberg Masters boasts an incredible line-up of top PDC stars, as Belgian ace Huybrechts joins world number three James Wade and five-time World Champion Raymond van Barneveld. They will appear alongside Australian star Simon Whitlock, former World Champion Mark Webster and the quick-fire Dutch duo of Vincent van der Voort and Michael van Gerwen. Former PDC under-21 World Champion Arron Monk will also be on show, alongside two local qualifiers, who will be attempting to topple the professionals. Lewis Jones of MODUS added: “It is almost like a Premier League night with the calibre of players in this event. The field for the PartyPoker.com World Grand Prix has been confirmed and includes nine MODUS associated players. The line-up for the Dublin tournament, which takes place on October 8-14, has been finalised as current positions cannot be affected by the upcoming European Championships. World number three James Wade, who has won the double-start tournament twice, qualifies as part of the top 16 in the PDC Order of Merit. Simon Whitlock, Mark Webster, Raymond van Barneveld and Paul Nicholson all also gain entry through their ranking positions. In-form Michael van Gerwen has booked his place at the Citywest Hotel as the highest ranked player in the ProTour order of merit, outside of the top 16. Mervyn King, Vincent van der Voort and UK Open champion Robert Thornton will also compete for the £100,000 title, having qualified through the ProTour Order of Merit. The top eight players from the PDC Order of Merit will be seeded for the first round draw, which is expected to be made on Sunday. Webster and van Barneveld could move into top eight spots depending on results in Germany this weekend. Some of the best darts players on the planet will be on show at The River Centre, Tonbridge for a special VIP night on Saturday 20 October. Fans will enjoy the special experience of a top quality darts event VIP style, with a waitress service, buffet, meet and greet with the players and an exclusive after party, which will follow the main event. The world-class stars on show include world number three James Wade, who has won seven major PDC titles, five-time World Champion Raymond van Barneveld and two-time World Champion Dennis Priestley. They will be joined by former Premier League star Terry Jenkins, quick-fire Dutchman Vincent van der Voort and two-time Lakeside finalist Tony O’Shea. Qualifiers Ben Songhurst and Rob Prince will be competing against the professionals on what will be a night to remember for the local pair. Lewis Jones of MODUS said: “This is a really unique event. Not only will fans get to see some of the best darts players on the planet compete, but they will get the VIP treatment too. For fans who wish to see the show without the VIP benefits, standard tickets have now been made available from £20 per person. Doors open at 6.30pm for the VIP reception, with the main event starting at 8pm. VIP guests are invited to stay on for the after party from 11pm. Simon Whitlock took victory in Sunday’s Players Championship 12 at Barnsley Metrodome, defeating Andy Hamilton 6-4 in the final. ‘The Wizard’ finally got rewarded for his solid form this year, as he claimed his first ranking title since 2010. “I’m delighted to get the win,” said Whitlock, who will now turn his attention to the televised European Championships next week. “It has been a while but I’ve been playing well. My form has been good so I always felt I would win one soon. The Australian star, who had reached the quarter-finals in Saturday’s event, began Sunday’s tournament with a 6-2 defeat of Tony Littleton. He followed that up with wins over Scott Rand and Kim Huybrechts, before seeing off the challenge of Steve Maish in the quarter-finals. ‘The Wizard’ halted the charge of former World Champion Dennis Priestley in the last four, triumphing 6-2 over the Yorkshire-man before beating Hamilton to clinch the £6,000 title. Whitlock trailed ‘The Hammer’ by two legs in the final but hit back to tie the match at 2-2. The next four legs all went with the throw before Whitlock grabbed a crucial break, hitting double eight to take the lead before posting double 16 to triumph. Michael van Gerwen, who won Saturday’s event, was denied the chance to make it a double success. 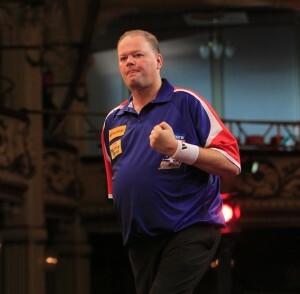 The Dutchman was defeated by Hamilton in the semi-finals, with ‘Mighty Mike’ missing double twelve for a nine-darter. van Gerwen defeated Kevin McDine, Jamie Caven, Terry Jenkins and Prakash Jiwa en route to the last four.